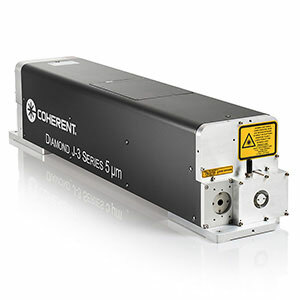 DIAMOND J-Series are compact, sealed, CO2 lasers that simplify integration and minimize time-to-market for laser system builders. 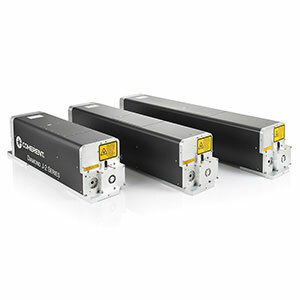 That’s because all J-Series lasers, regardless of power or wavelength, feature a common mechanical, electrical, optical, software and control interface with the only difference between models being overall package length. This consistency enables system integrators to focus more on process development, rather than laser integration and tool re-engineering, and thus better capitalize on opportunities presented in today’s fast-paced world of applications and product development. Plus, a common software interface across all models reduces the need for system integrators to train service personnel on new systems. J-Series lasers are based on Coherent’s state-of-the-art, field proven, fully sealed, slab discharge technology, which delivers superior performance and exceptional reliability. For example, this unique construction combines high beam quality (M²<1.2) and nearly square wave shaped pulses to yield high processing efficiency and speed, while minimizing the heat affected zone. An integrated RF power supply in J-Series lasers eliminates the traditional RF umbilical to enhance reliability and lower cost of ownership. J-Series products are available in powers ranging from 150W to 500W, and output wavelengths of 10.6 µm and 9.4 µm. 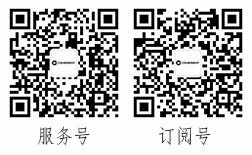 This enables them to service a wide range of tasks in cost and space-sensitive applications such as converting, marking, engraving, cutting, perforating and drilling. The long wave infrared output of these CO2 lasers makes them compatible with numerous organic materials, including paper, cardboard, plastic films, textiles, leather, wood, plastics, and carbon composites, as well as glass and even thin metals.